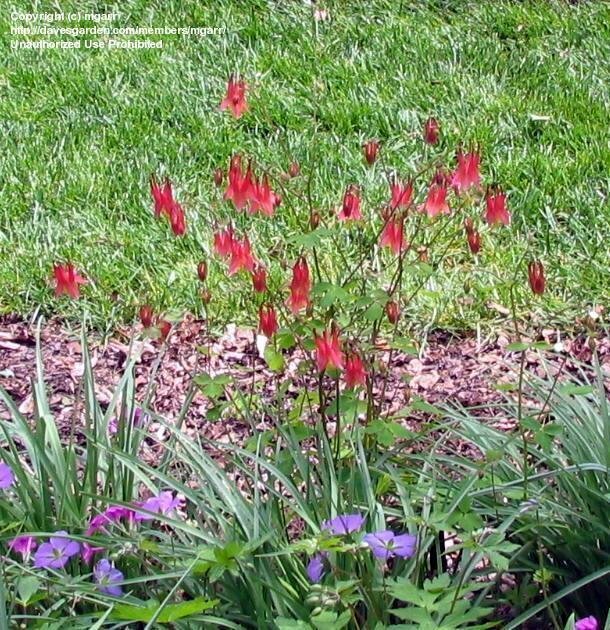 Texas native wildflower that grows in cracks and crevices of limestone cliffs in central Texas and the Edward's plateau area. 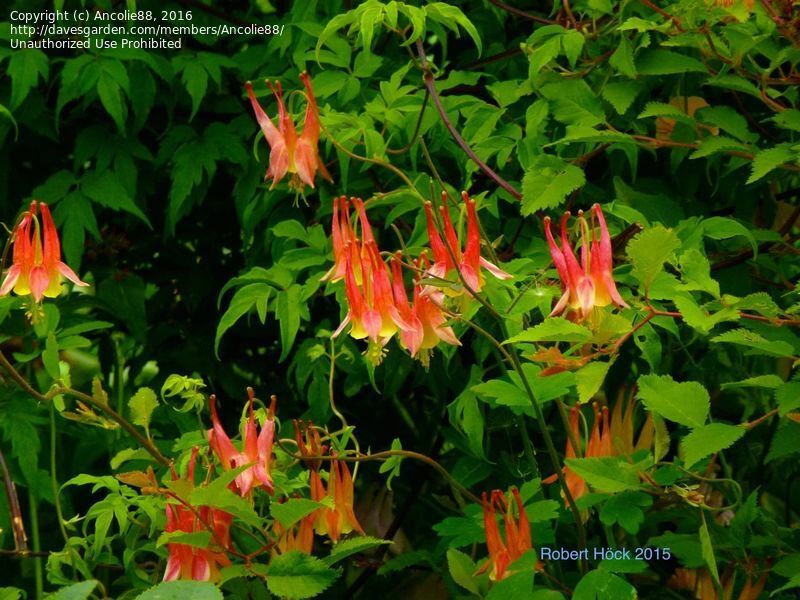 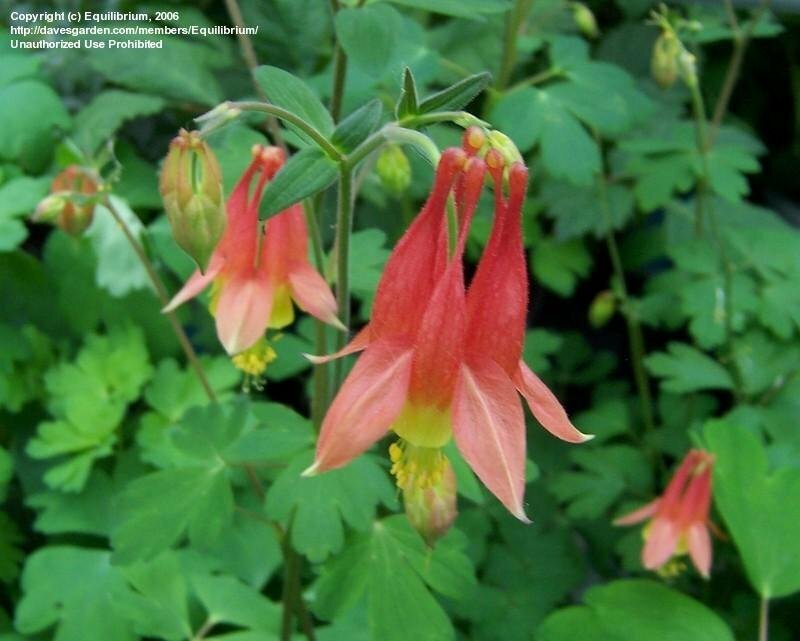 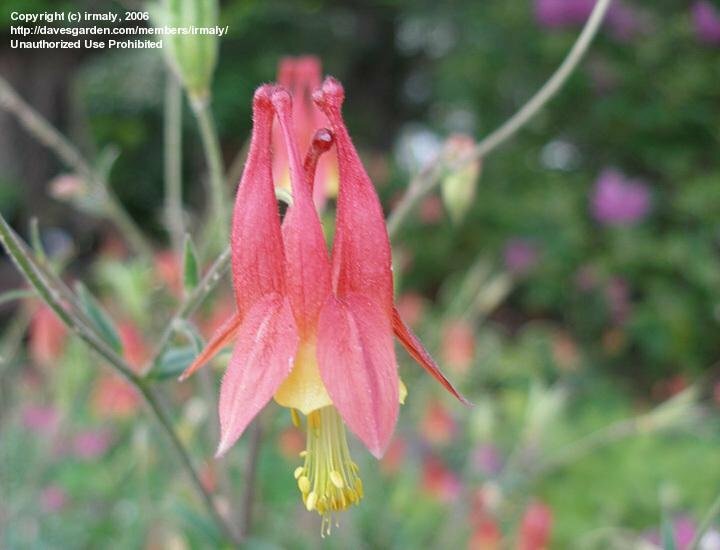 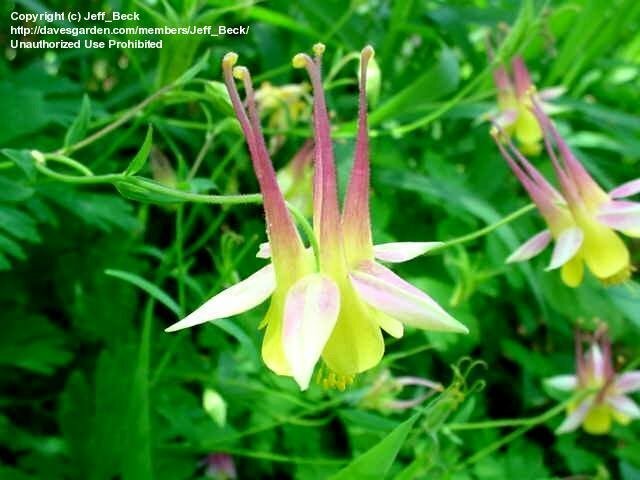 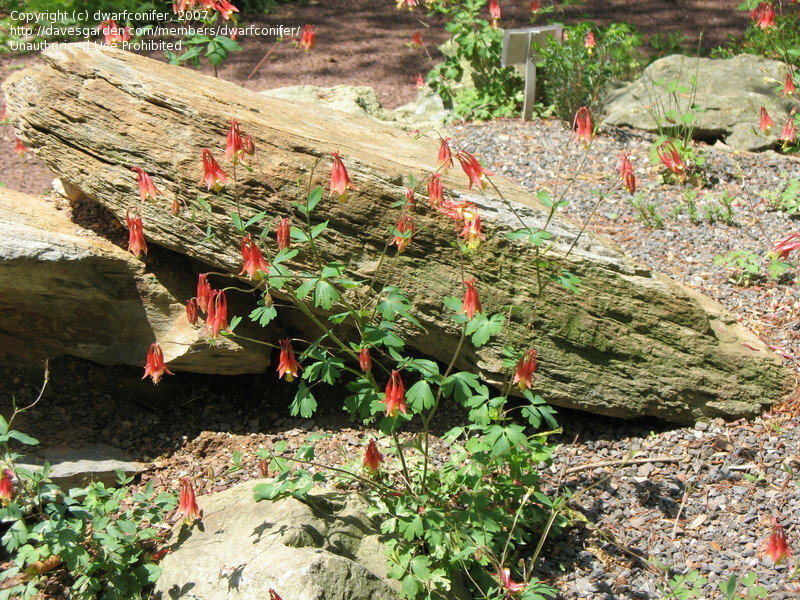 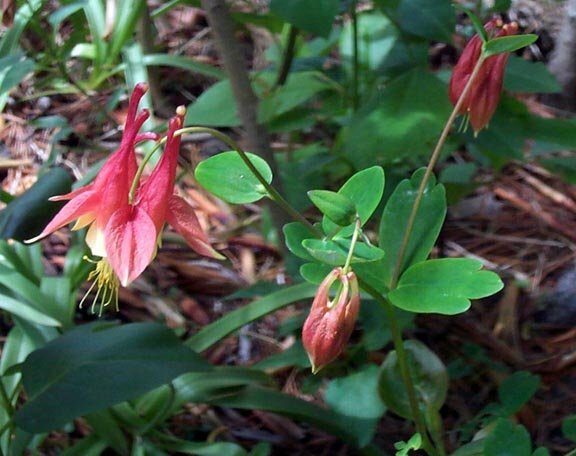 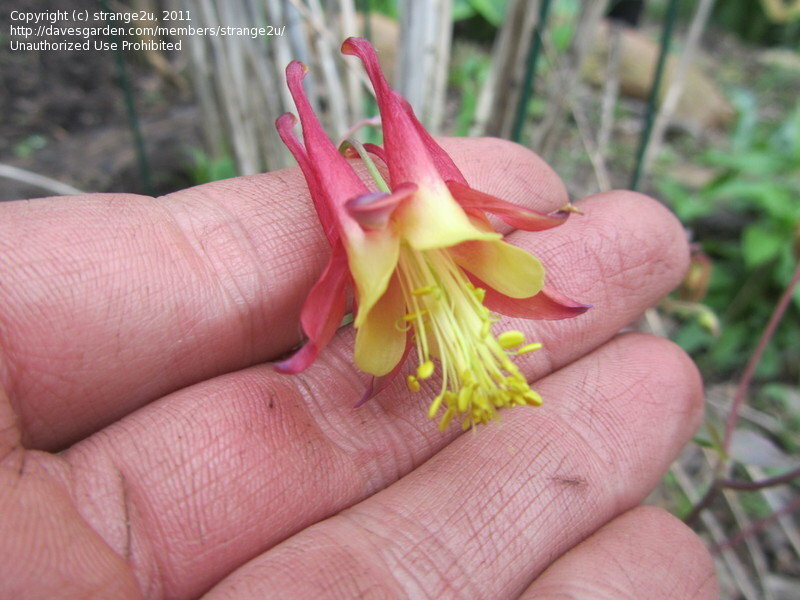 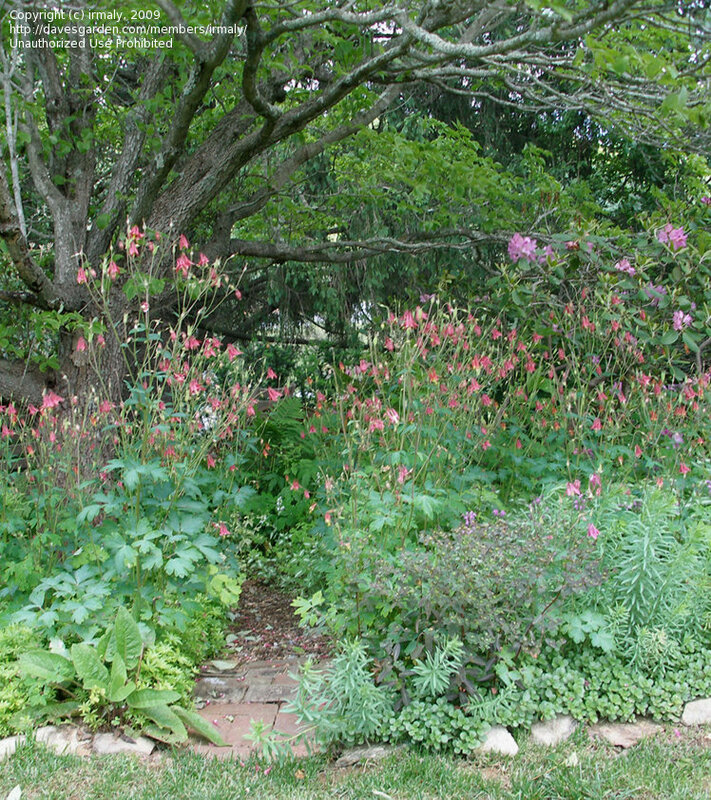 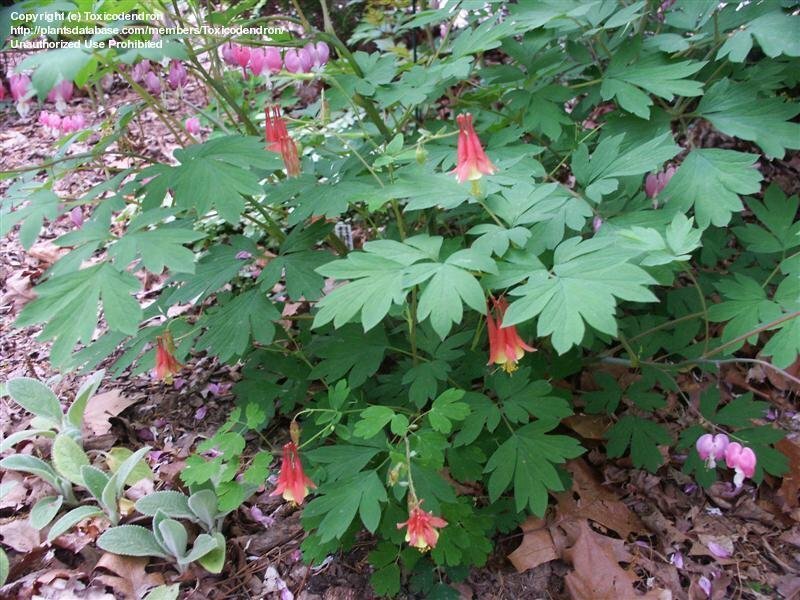 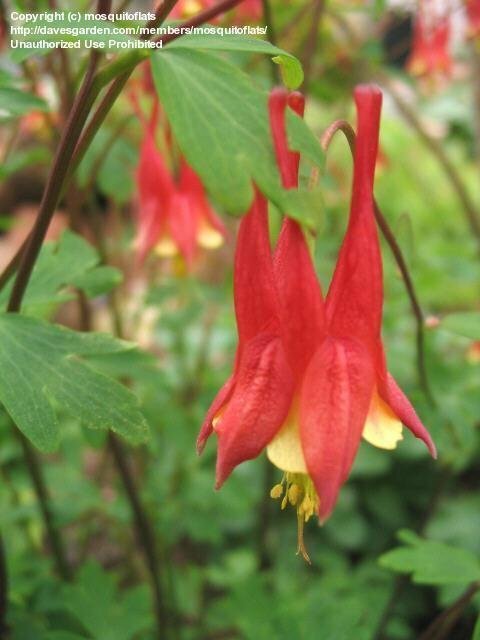 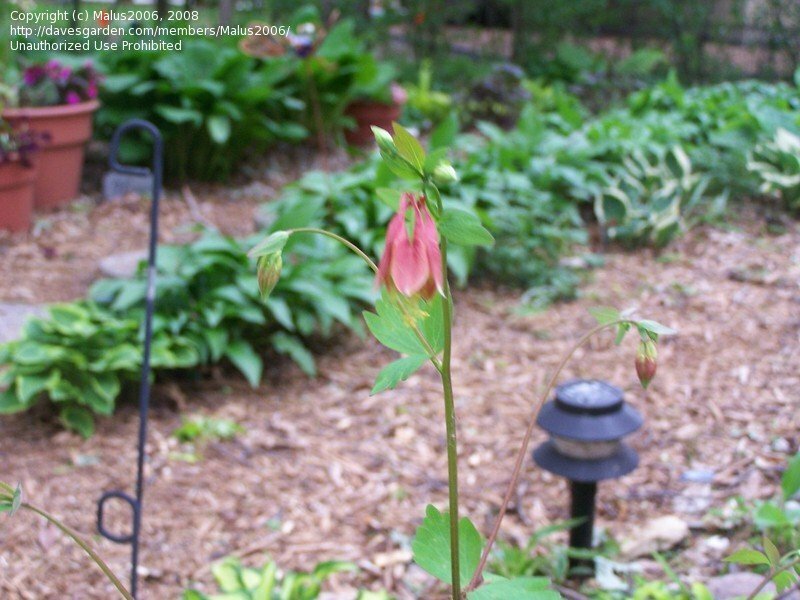 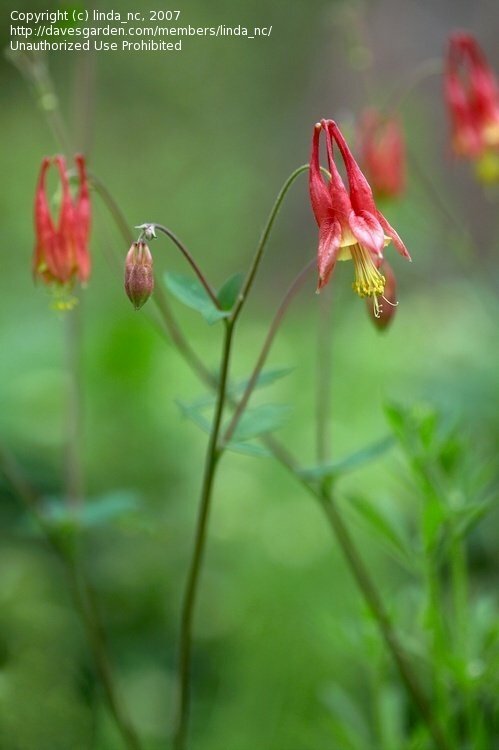 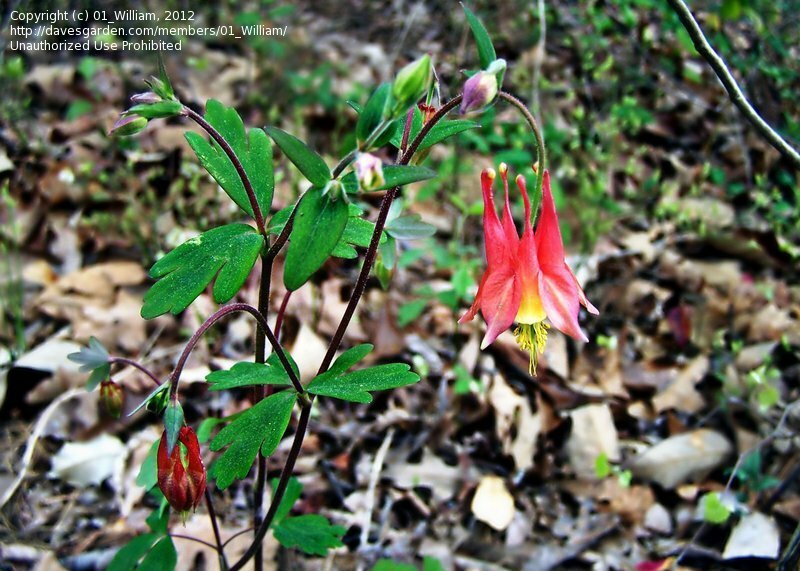 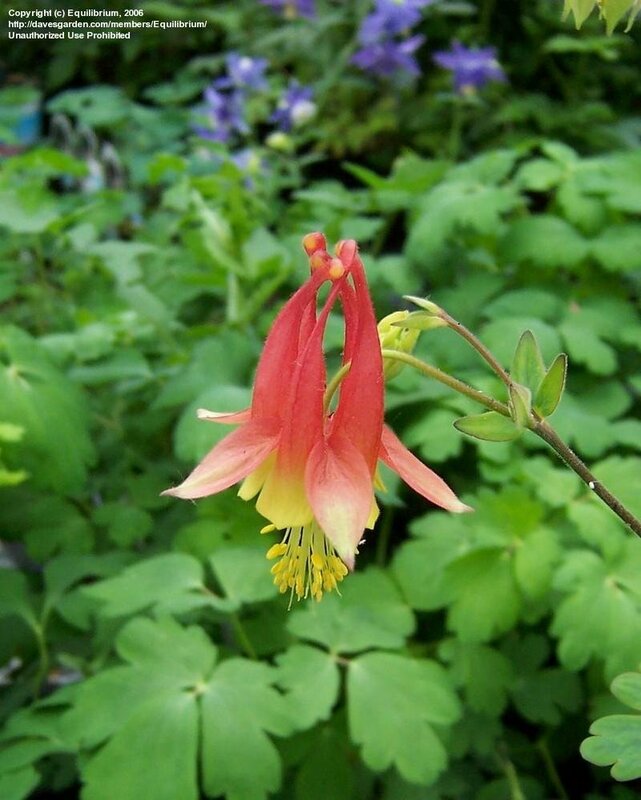 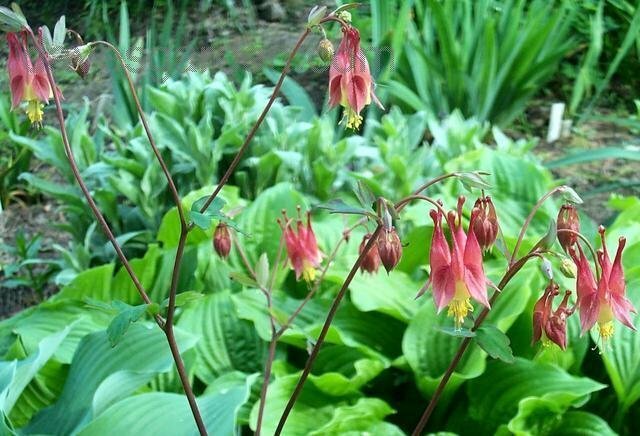 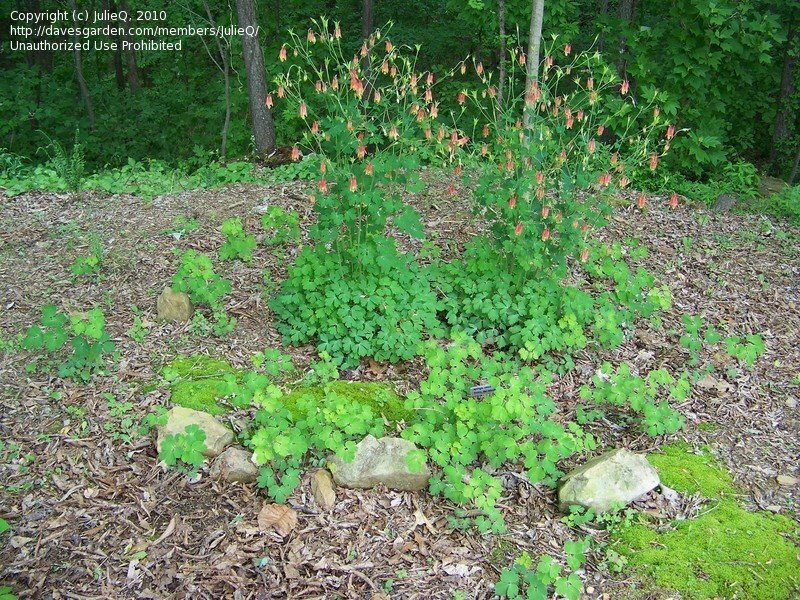 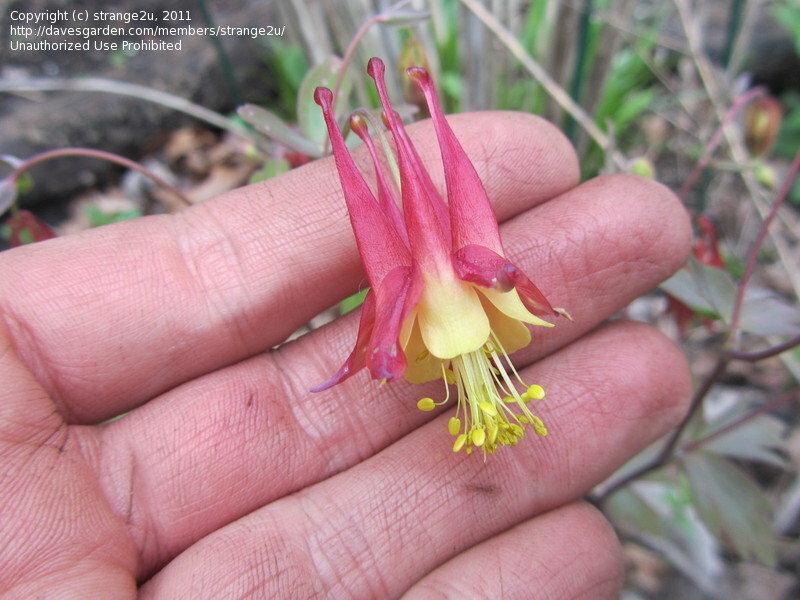 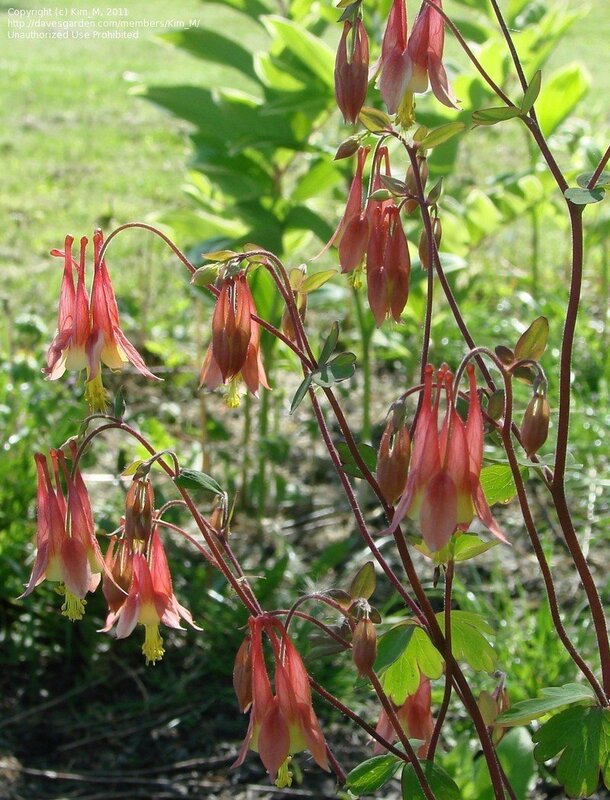 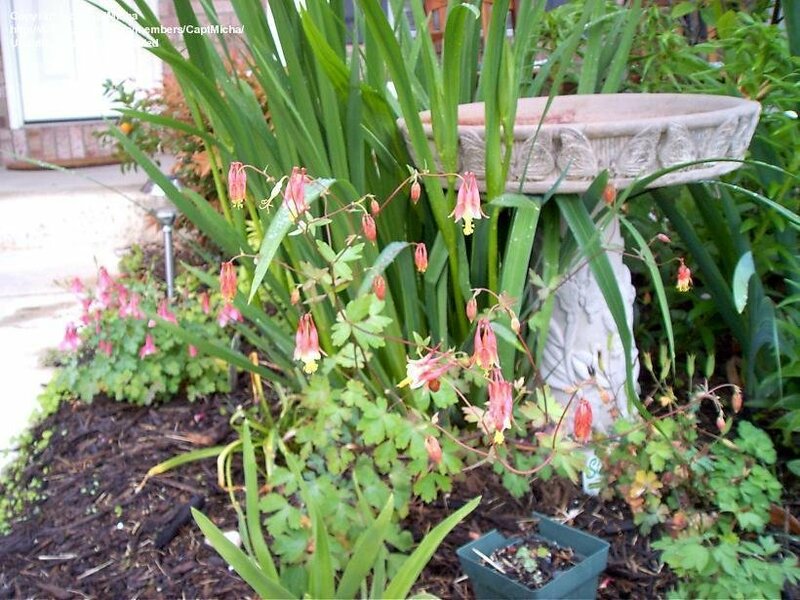 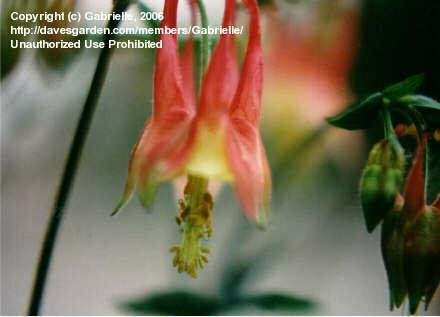 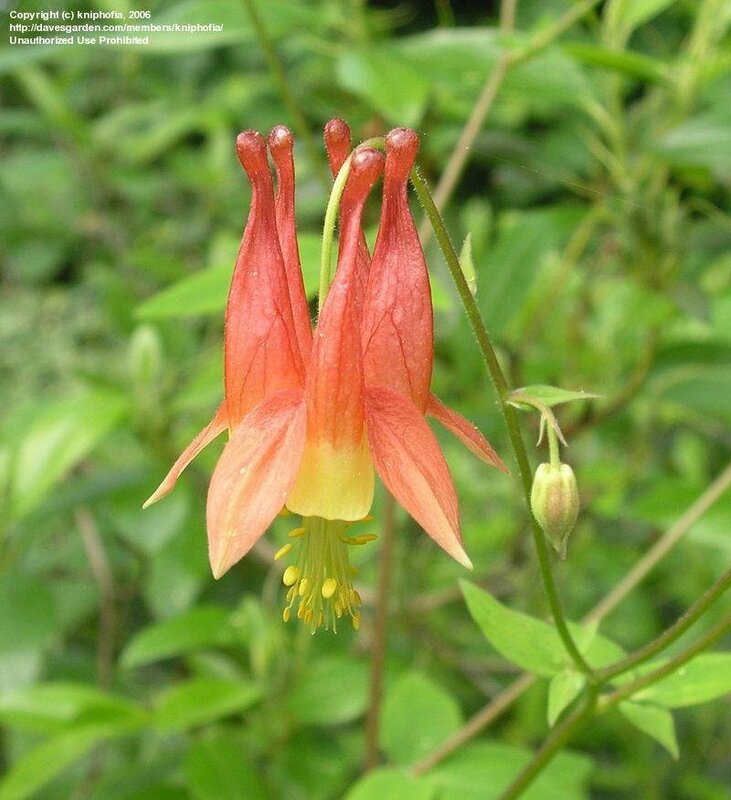 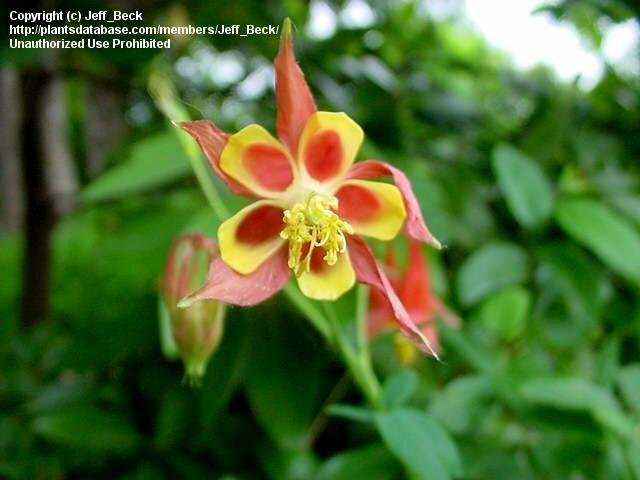 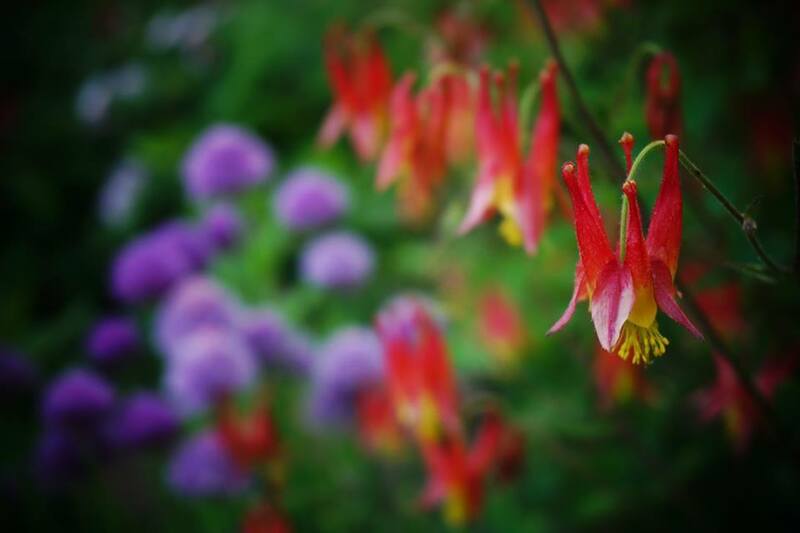 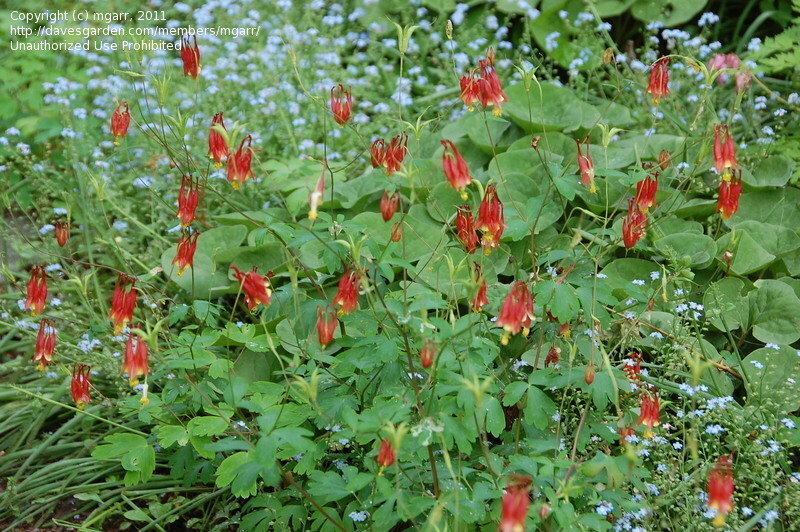 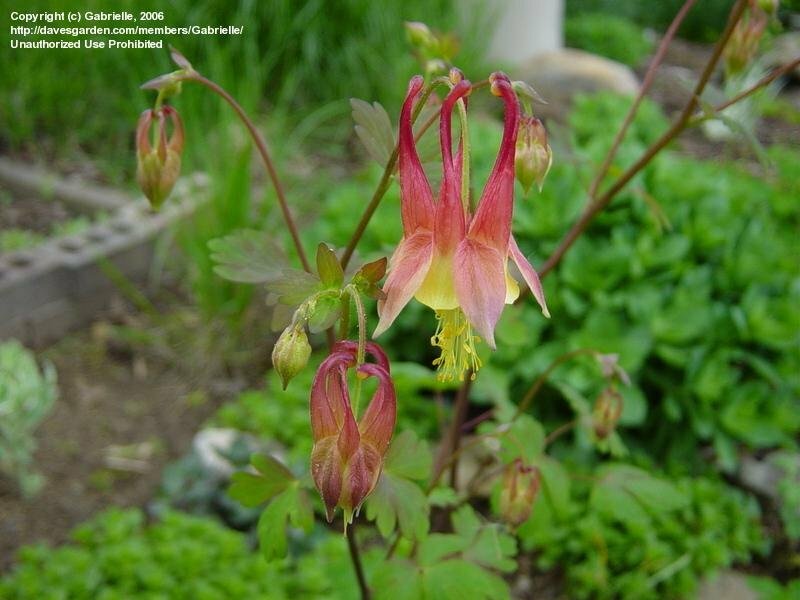 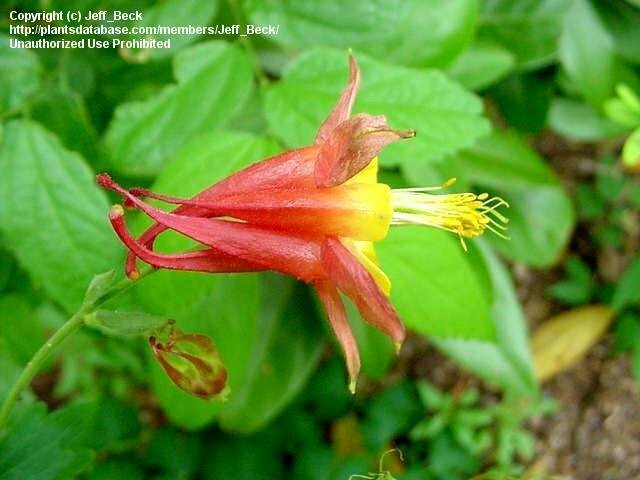 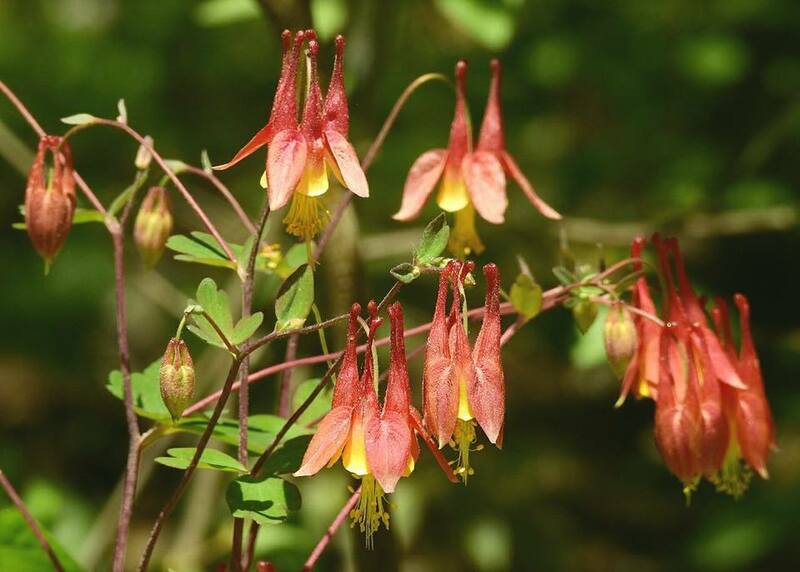 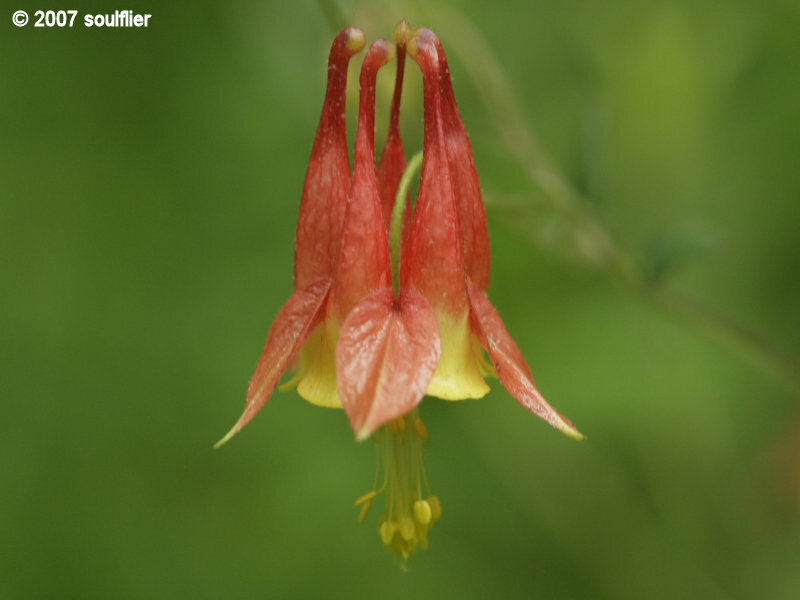 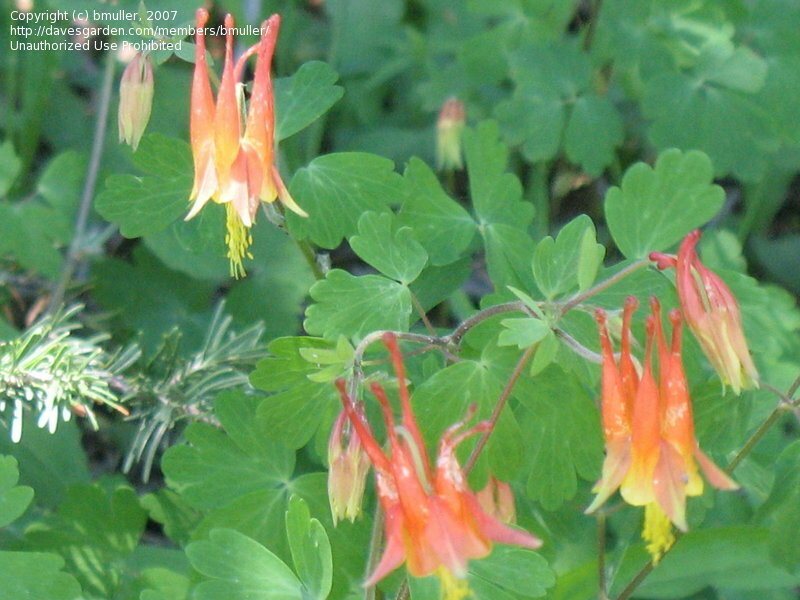 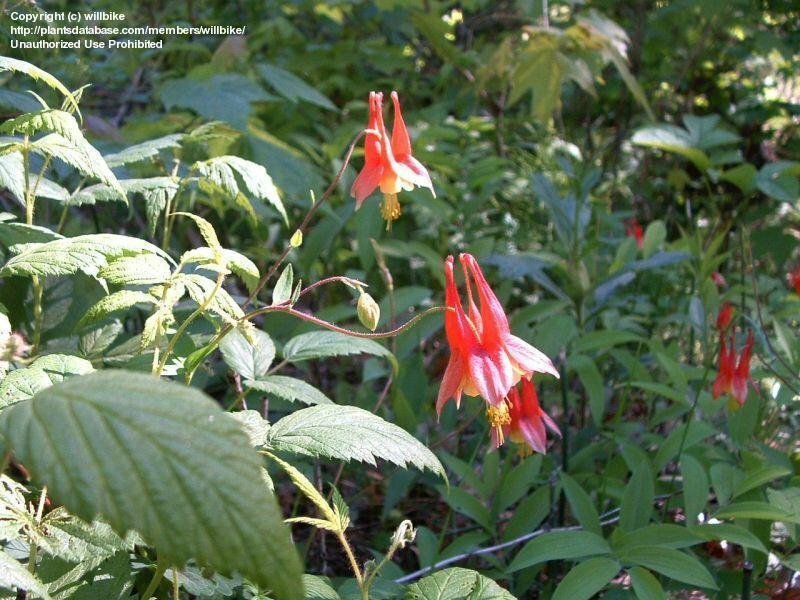 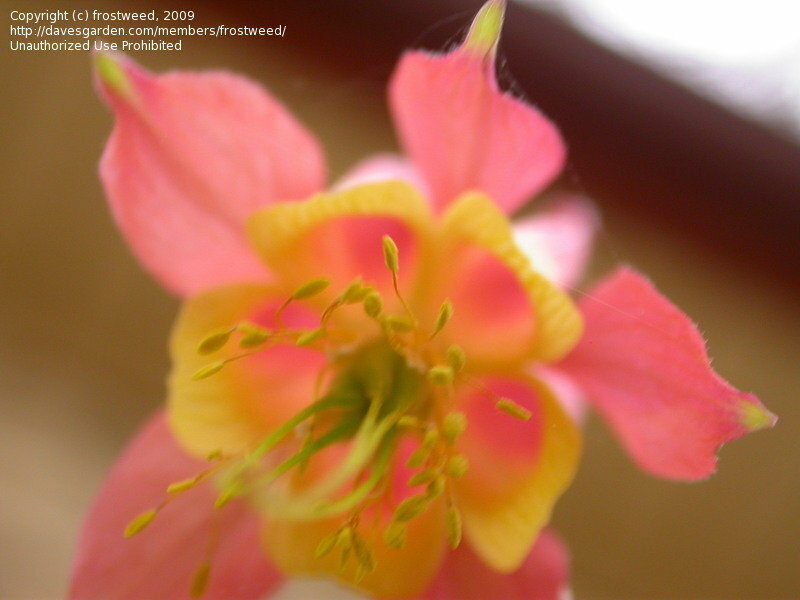 Wild columbines bloom just as the bleeding hearts begin to fade, and just in time to feed the returning hummingbirds. 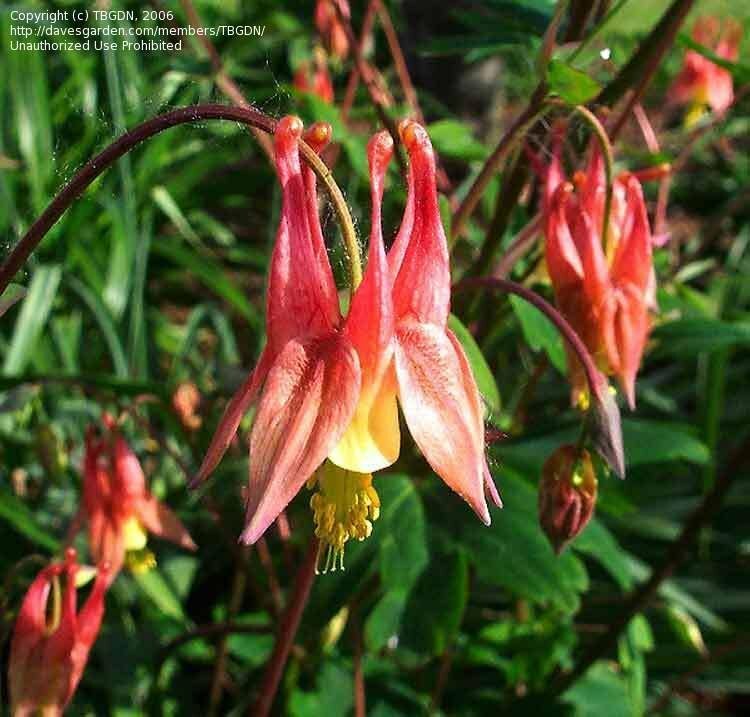 Good form and many flowers. 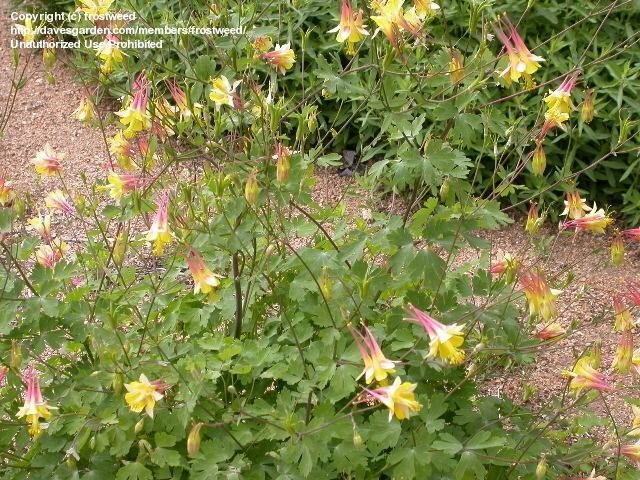 Wild Columbine, at the Wildflower Center. 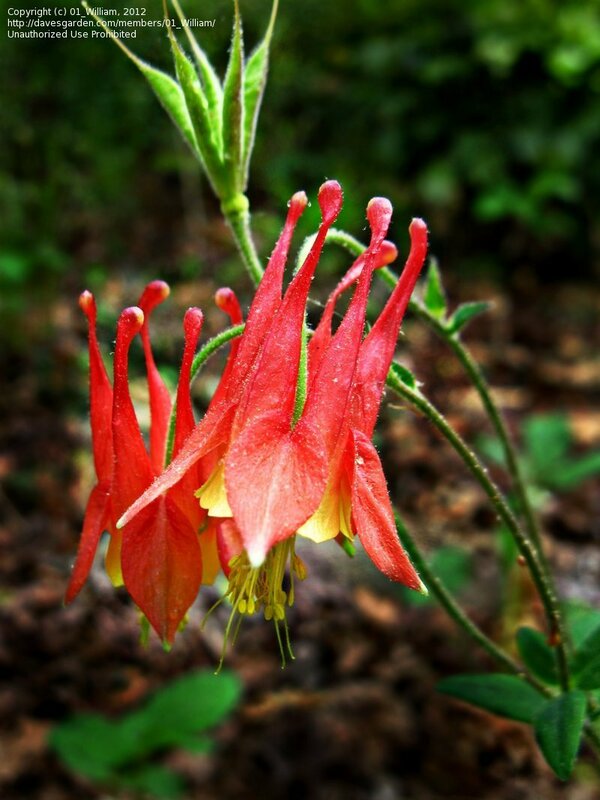 One of my all time favorite natives. 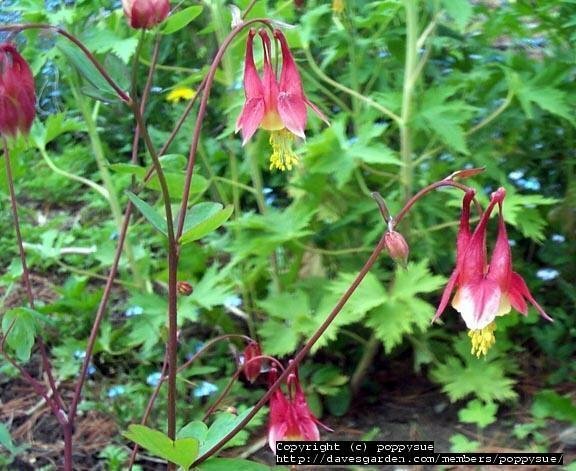 Vigorous growth with attractive flowers. 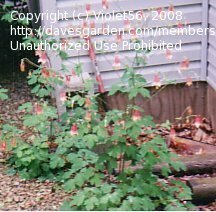 06/03/07 These grow along the road (north central PA) and herald the spring just as the trilliums fade. 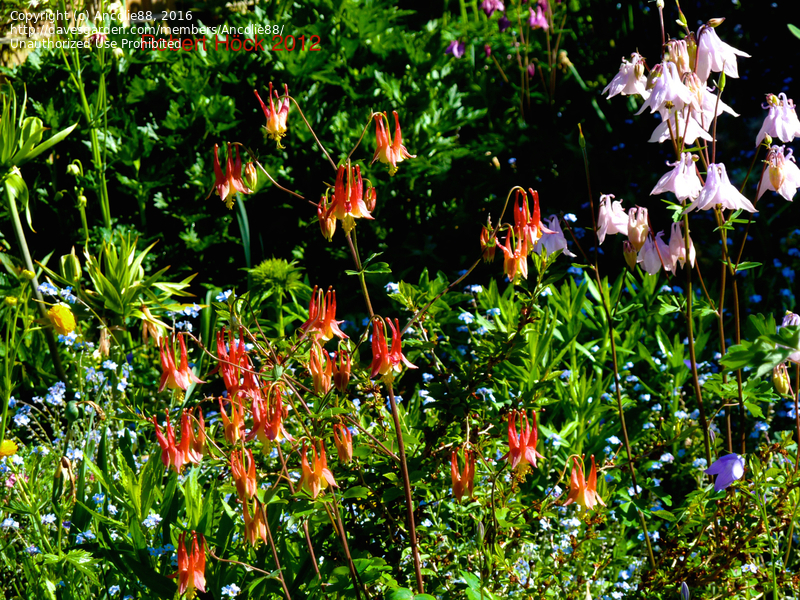 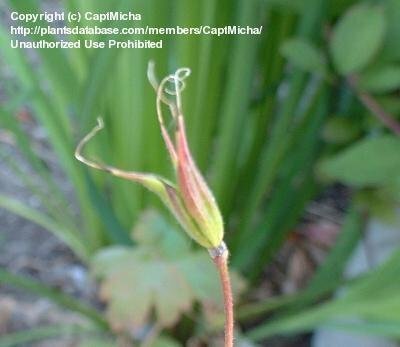 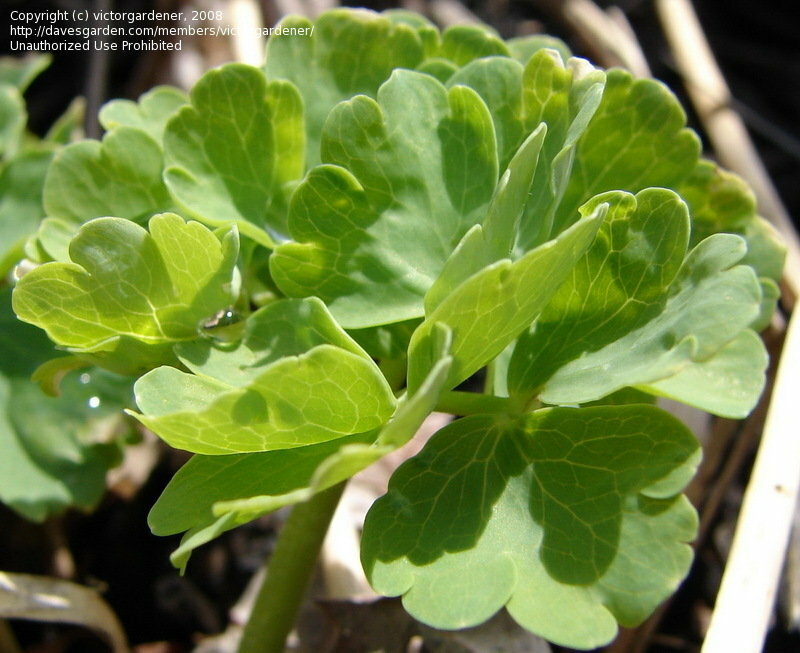 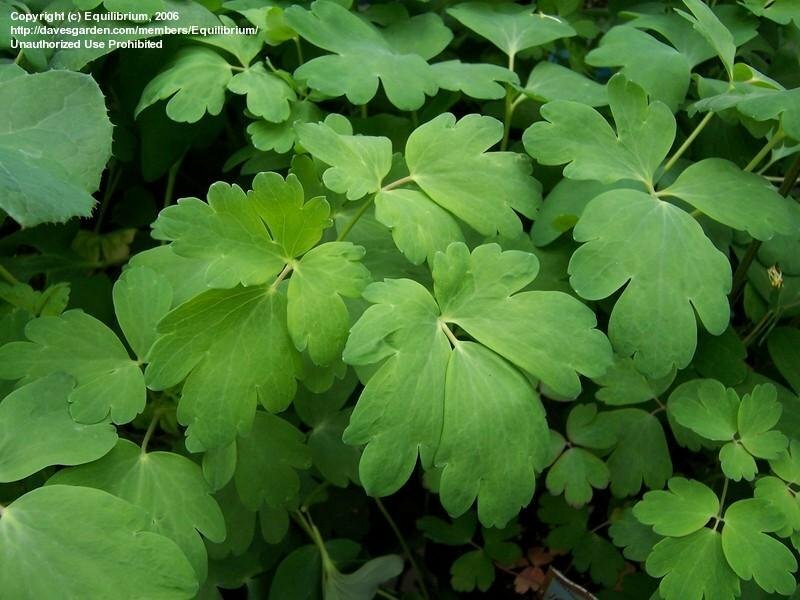 Canadian Columbine, Wild Columbine Aquilegia canadensis, view from the down side. 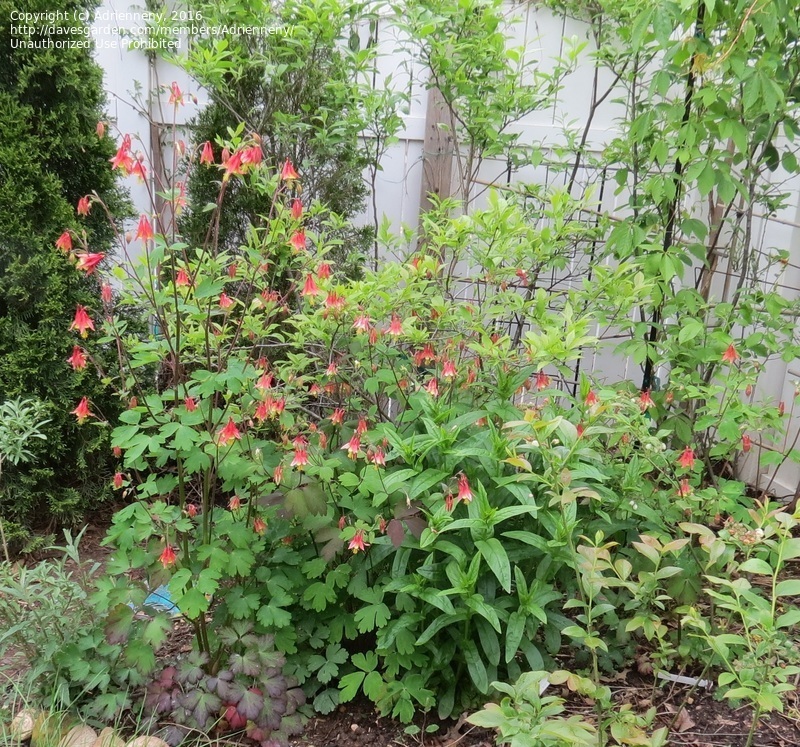 I had two plants last year. 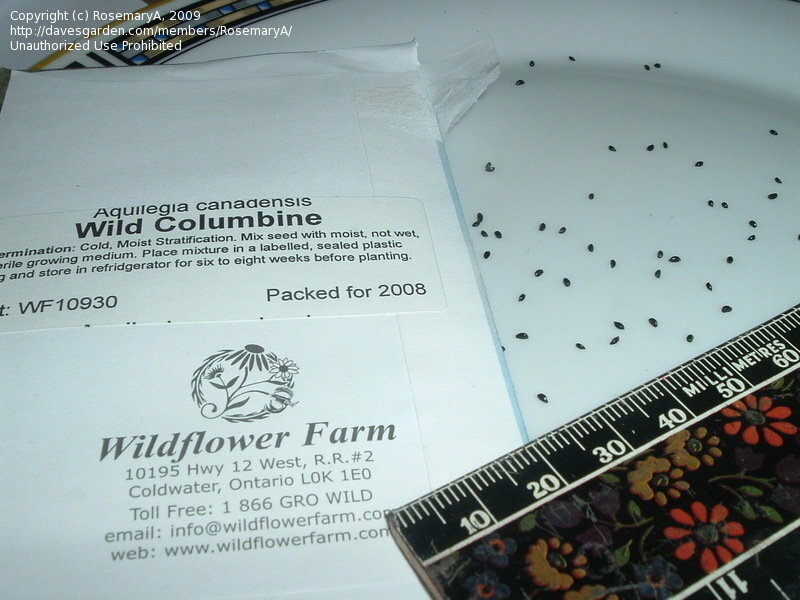 This picture shows how quickly they can colonize.